The secret is out. Lincoln is a half marathon destination like no other in the Midwest. 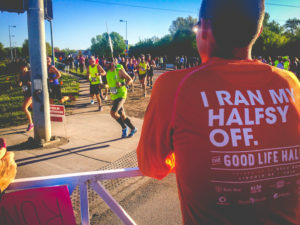 In 2017, Lincoln saw 13,630 half marathoners take on its two largest events, The Lincoln Half Marathon in May and The Good Life Halfsy in October, surpassing both Des Moines, Iowa and Kansas City, Missouri for the most finishers among each city’s two marquee half marathons. 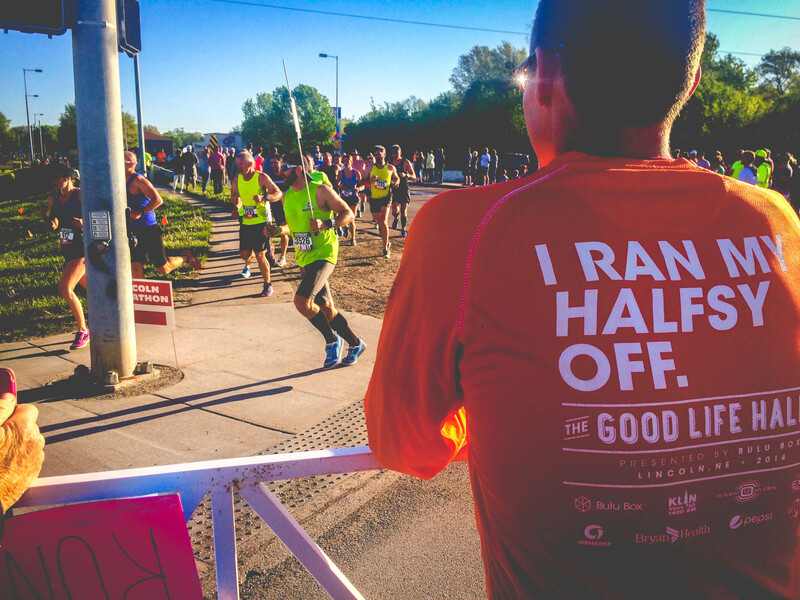 A spectator cheers on runners in the 2017 Lincoln Marathon & Half Marathon while wearing a Good Life Halfsy race shirt! As running events nationwide begin to level off, Lincoln is still seeing growth with these two events selling out months in advance. As word spreads nationwide, not only do more and more out-of-state runners make the trip to see what Lincoln is all about, including Dave Mcgillivray, The Boston Marathon race director, but the national accolades are beginning to come in for these unique Lincoln events as well, with The Good Life Halfsy being named one of the ‘Best Half Marathons for First Timers’ by Active.com. We know you'll love the Good Life Halfsy, but you don't have to take our word for it. Listen to these community voices talk about their favorite things about the race. Haven't registered, yet? Hurry, it's over 90% sold out. Already registered? Tag a friend! Sign up at www.goodlifehalfsy.com! 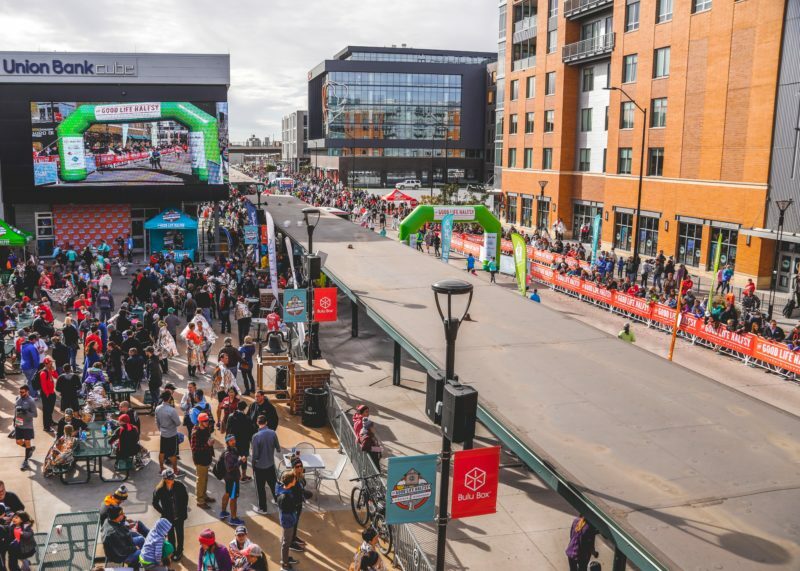 As Lincoln surpasses Des Moines and Kansas City, you would have to travel to Minnesota or Colorado to find communities with larger marquee half marathons. Arguably making Lincoln, Nebraska the running capital of the Midwest.